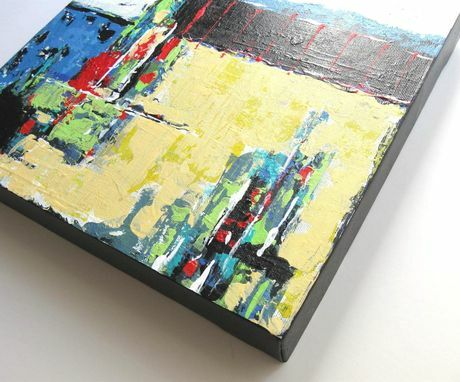 This expressionist abstract is an original acrylic painting, created in many layers of colors and textures. Stark areas of black and white offset the multiple layering details. 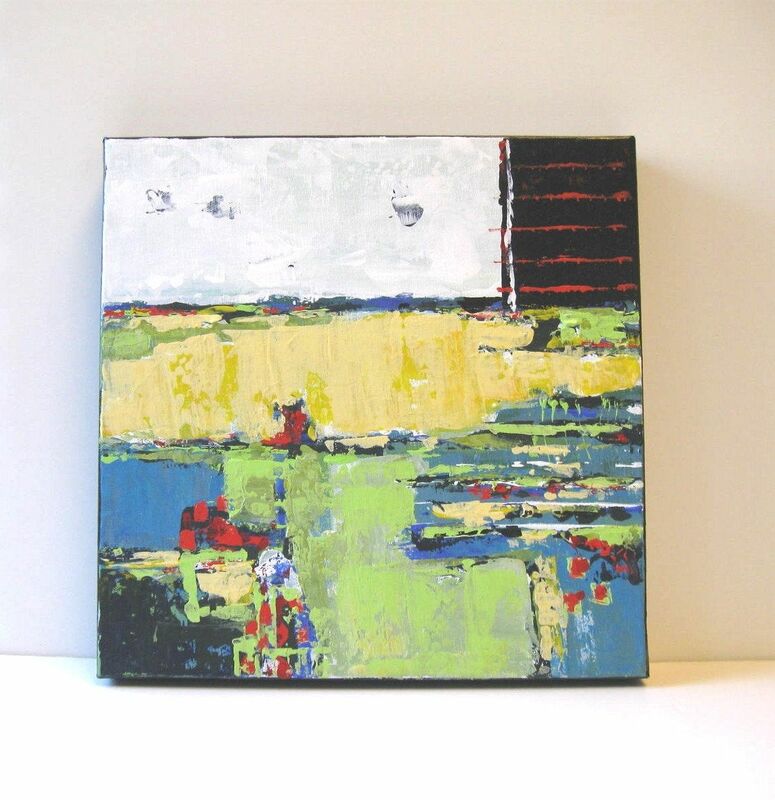 Bright and colorful, this modern abstract painting is on an 12"x12" x 1 1/2 gallery wrapped canvas. 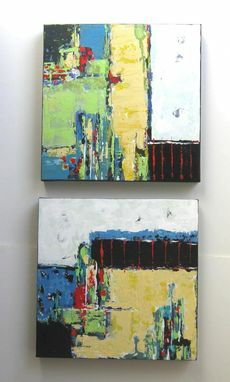 Urban, contemporary style, titled "Unhinged Too". All four sides have been painted so no framing is necessary. Photos were taken before varnishing so after a couple of coats of varnish there will be a beautiful glossy sheen to bring out the colors and textures. The painting is signed by me, the artist and is ready to hang. Small enough to sit on a table easel this original painting will give a great pop of color to any room. 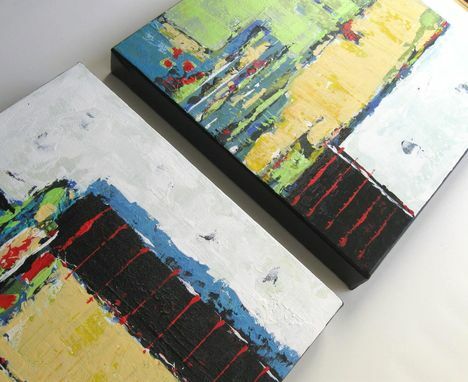 The companion piece shown in the thumbnails may be found in my shop.